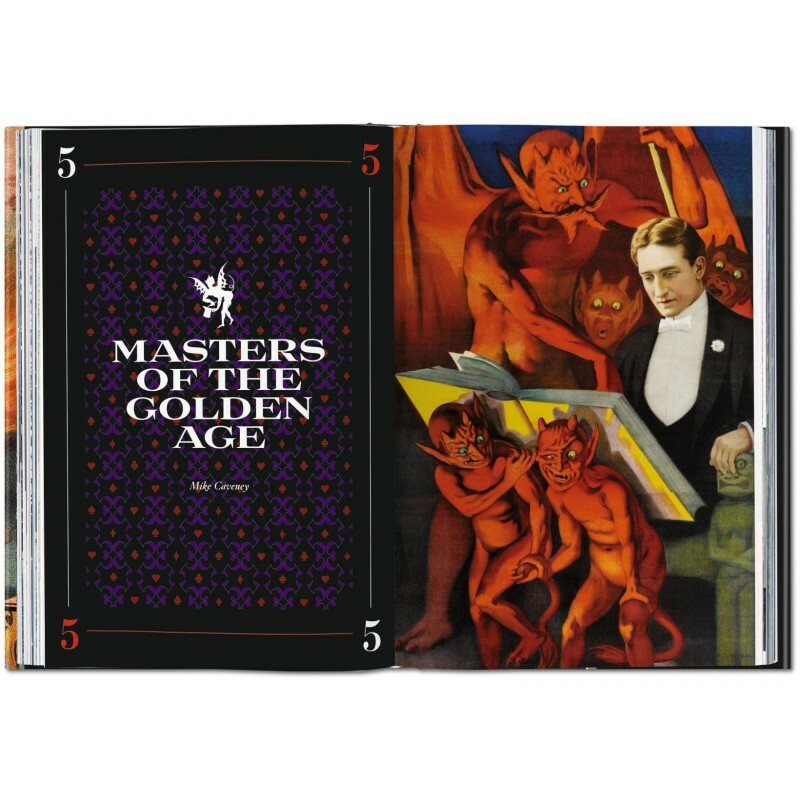 This book celebrates more than 500 years of the stunning visual culture of the world’s greatest magicians. 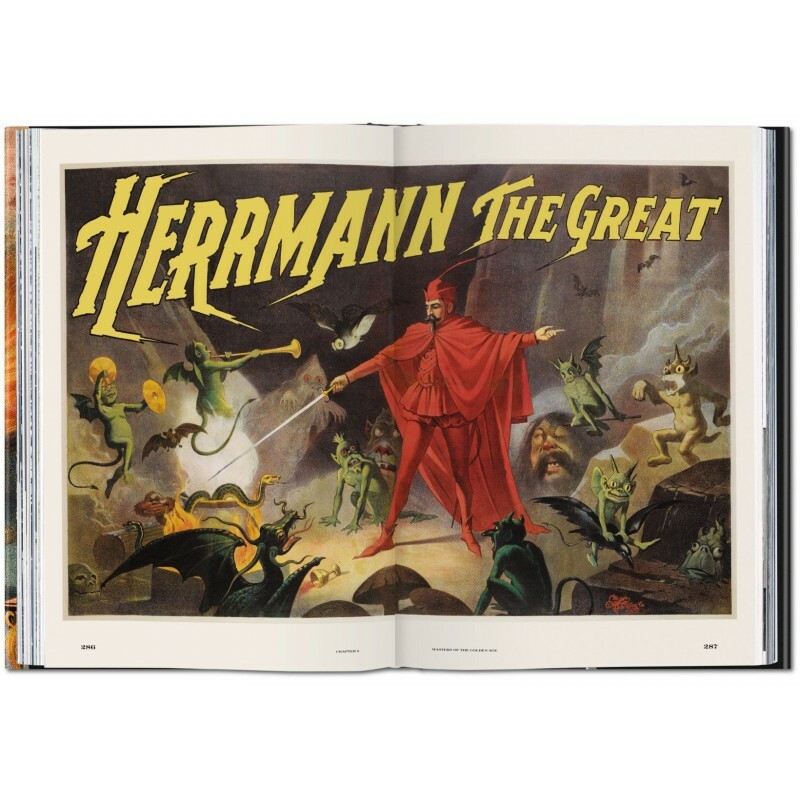 Featuring more than 850 rarely seen vintage posters, photographs, handbills, and engravings as well as paintings by Hieronymus Bosch and Caravaggio among others, The Magic Book traces the history of magic as a performing art from the 1400s to the 1950s. 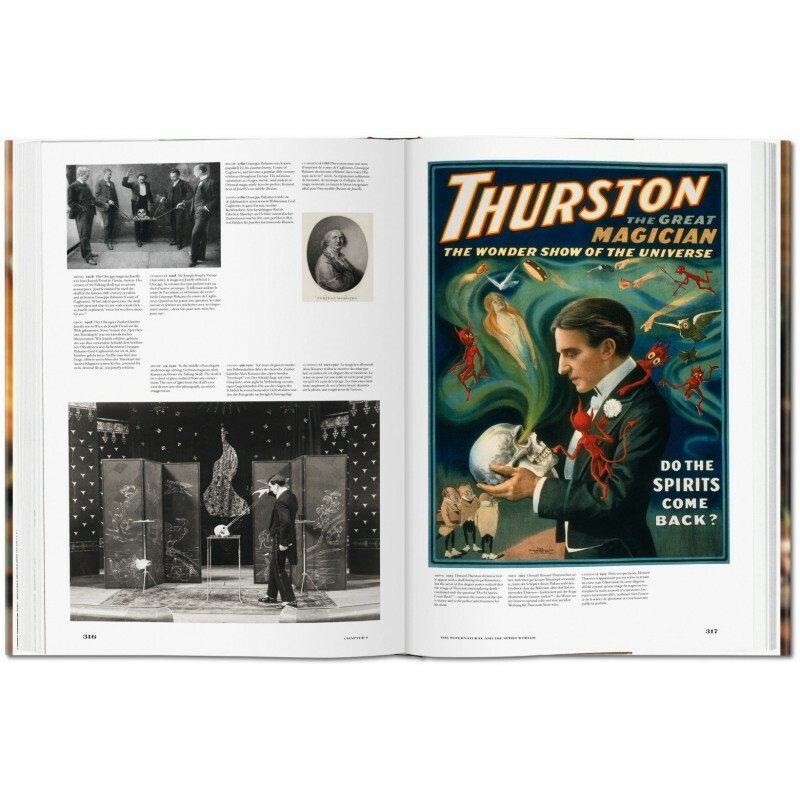 Combining sensational images with incisive text, the book explores the evolution of the magician’s craft, from medieval street performers to the brilliant stage magicians who gave rise to cinematic special effects; from the 19th century’s Golden Age of Magic to groundbreaking daredevils like Houdini and the early 20th century’s vaudevillians. 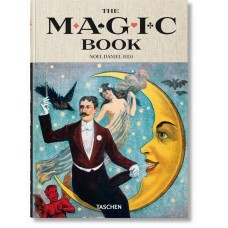 Jim Steinmeyer is the author of many books on magic history and practice, including Los Angeles Times bestseller Hiding the Elephant (2004) and The Glorious Deception (2006). 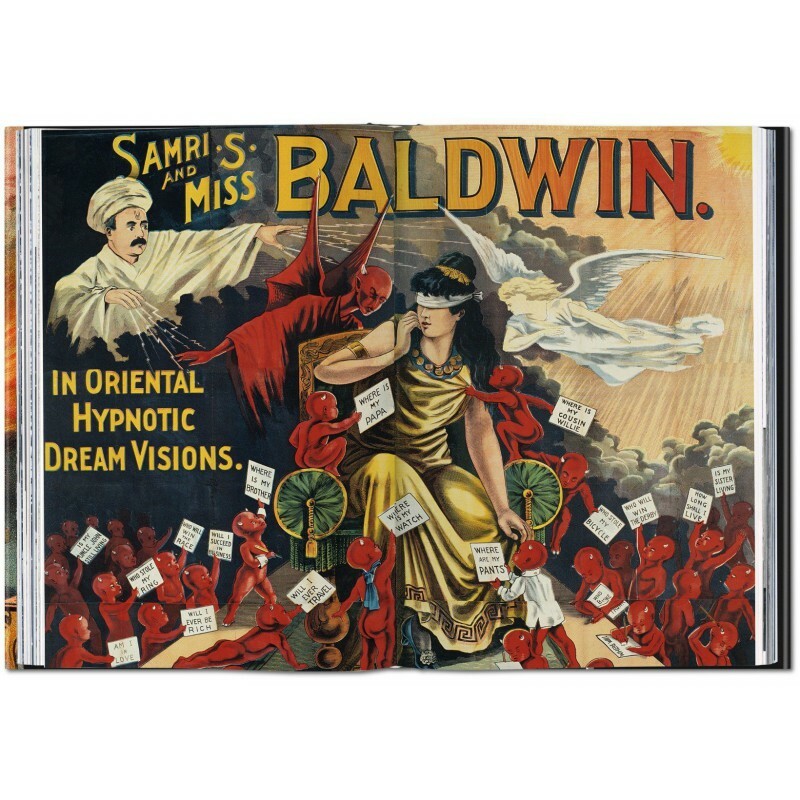 He has created deceptions featured by magicians such as Doug Henning, David Copperfield, and Siegfried and Roy, and critically acclaimed illusions for Broadway hits Mary Poppins, Beauty and the Beast, and Into the Woods. Noel Daniel is a graduate of Princeton University and a former Fulbright Scholar to Berlin. 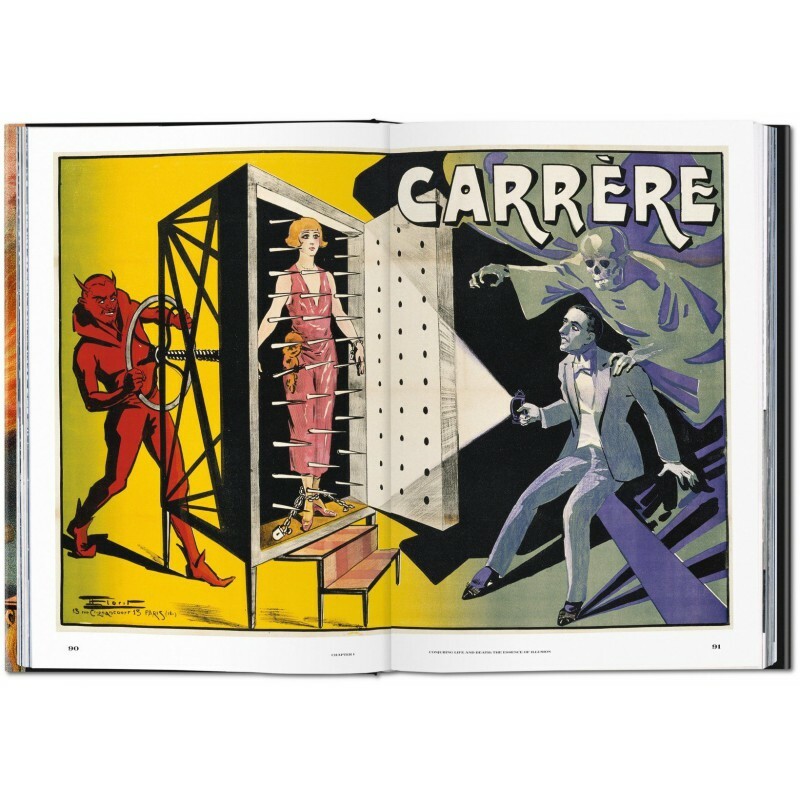 She earned an MA in London and was director of a photography gallery before editing books. 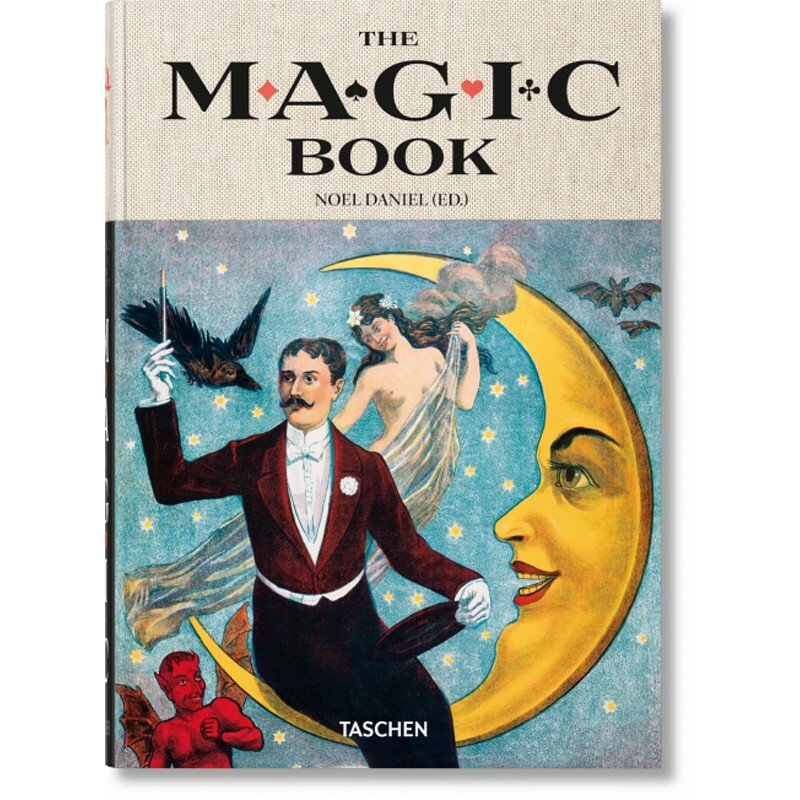 Her TASCHEN publications include East of the Sun and West of the Moon, The Fairy Tales of the Brothers Grimm, The Fairy Tales of Hans Christian Andersen, Wintertime Tales, Magic, and The Circus.